With the Customizing module of Docusnap, you can tailor the application to your individual requirements. 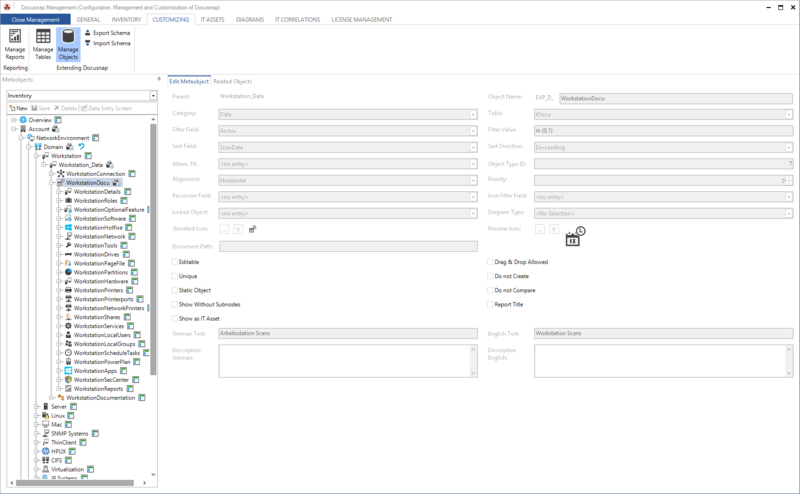 Customizations are performed exclusively from the Docusnap user interface and can be done by the customers themselves. In addition, you can select from special services and trainings we offer to assist you when using the Customizing module. 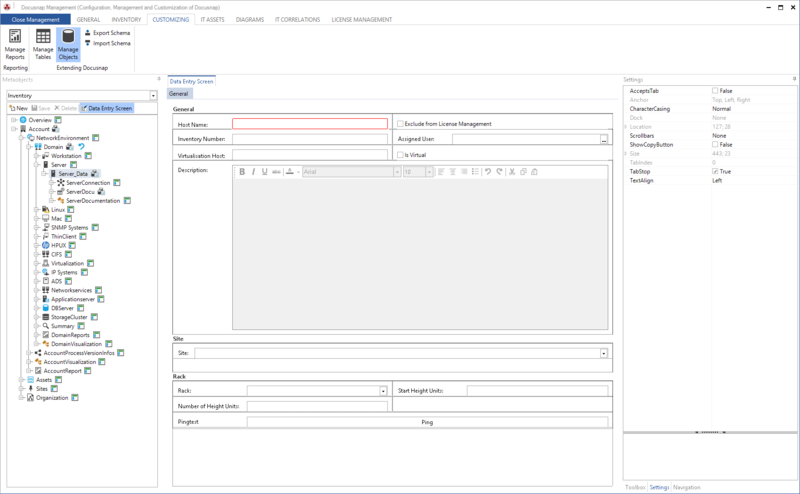 Both for information and data storage and for the configuration of dynamic user interface elements, such as data entry screens or Explorer views, Docusnap uses a relational database management system enabling you to perform the desired customizations. Docusnap ensures that the modifications made by you will not conflict with future updates. If required, the Docusnap database can be extended by adding tables and fields to hold additional information. Based on these extensions, you can subsequently create individual views, object types, and data entry screens. Besides extensions of the database structure, you can create any desired views by defining individual database queries (SQL queries). Such views can for example be used to consolidate information from multiple tables in a single virtual table. Hierarchies, such as the Data Explorer, are built generically on the basis of Docusnap metadata. This metadata, implemented as individual objects, is stored in the Docusnap database and allows you to customize and extend the display subsequently. 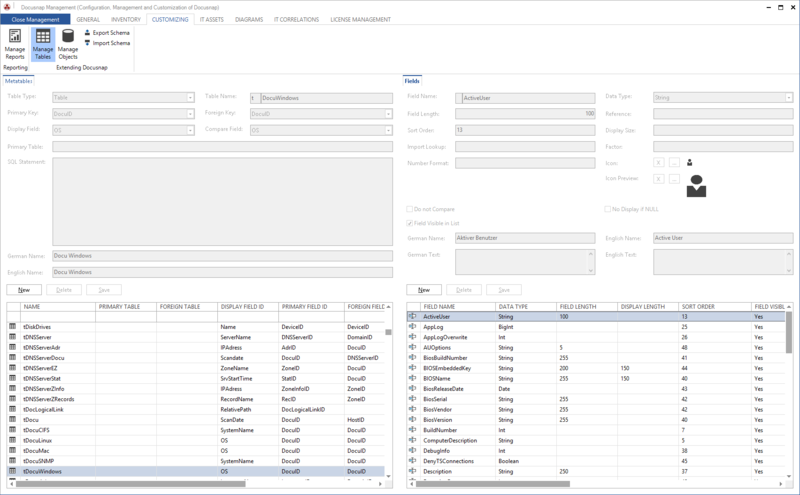 To extend the metadata, you can create new objects which can then be associated with existing tables and views as well as with custom tables and views. 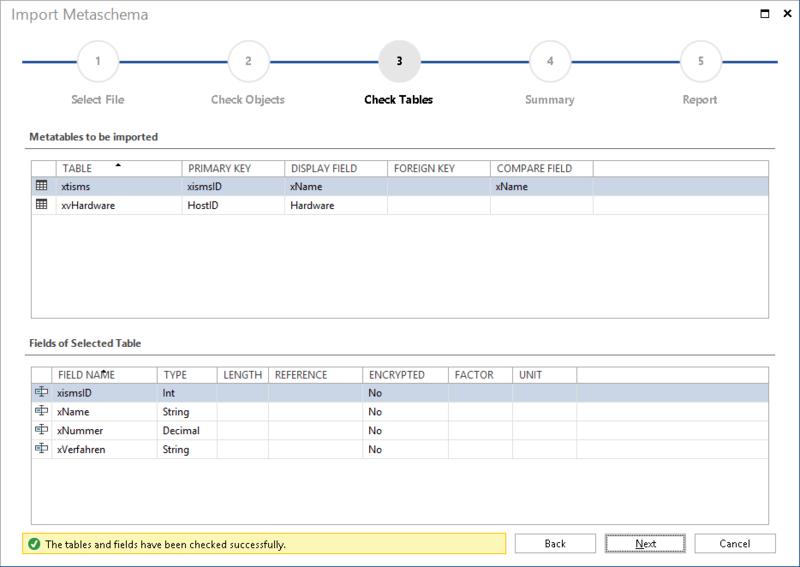 To enter newly defined data or edit existing data, you can create custom data entry screens. Based on the extensions of the database and the creation of custom object types, you can create new entry screens in Docusnap. 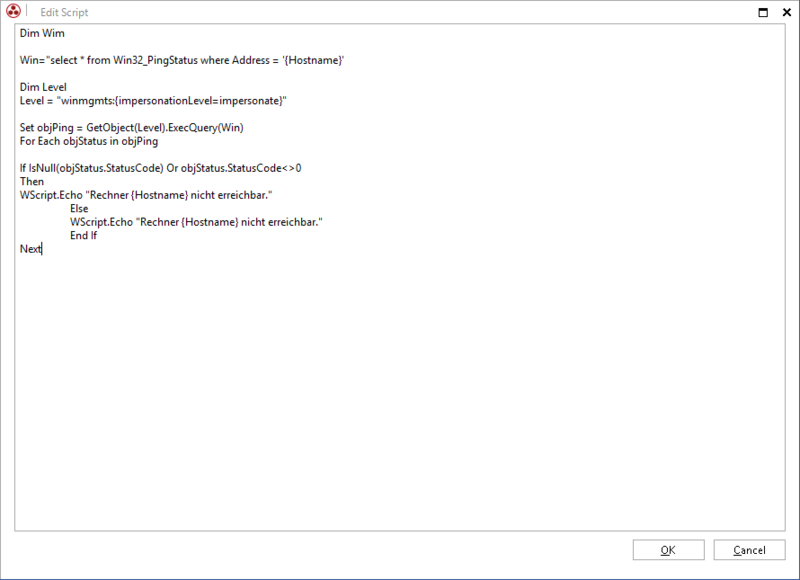 Linking entry fields with corresponding database fields enables the users to enter and save the desired information.